Home / Stock Market / What are Derivatives and some important terminologies in Derivatives? 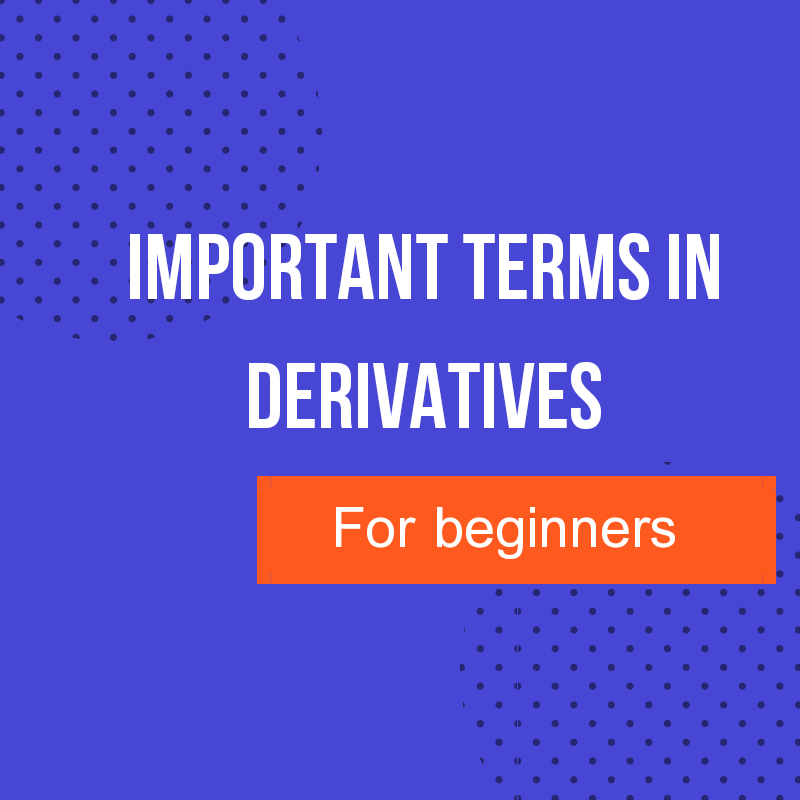 What are Derivatives and some important terminologies in Derivatives? Many people wonder what is derivative, what is futures and options, how much risky they are and can we make profit from them. The one answer is “Yes” but terms and conditions applied. You need education, patience, practice to get this yes. If you are doing these three things then I believe you can earn from stock market. For education I’m starting a series of posts where I’m going to discuss some basic knowledge about stock market and today our topic is “Derivatives”. How To Use EPS In Selection Of Stocks? A derivative is a security which value is normally derived from the value of another underlying asset. This asset could be equity, commodity, forex or any other asset. In now-a-days more complex and hybrid derivatives are coming to the focus in which asset underlying are loan, weather, monsoon, mortgages, crops, insurances etc. Many people don’t know the proper meaning of derivatives. I’ve come across many peoples who believe that derivatives are different thing from stock market. But no, derivatives are completely dependent upon stock markets. Let’s understand it through a simple example. Take the example of cheese which is made from milk. The price of cheese is directly related to milk i.e. the value of cheese is derived from the value of milk. If milk price will go up then the cheese price will definitely go up, there’s no other questions in this. Similarly if milk price is going low then cheese price will go low. For an example I have a lot of TATA Steel share. Here the underlying asset is the share of TATA steel. If in cash market price of TATA steel is increasing then definitely TATA steel’s future’s price will also increase. One major misconception about Derivatives are, People think Derivatives decide the cash market’s price where as in reality cash market fixes the price of derivatives or futures and options of shares. We will discuss about them in details in our upcoming blog posts. 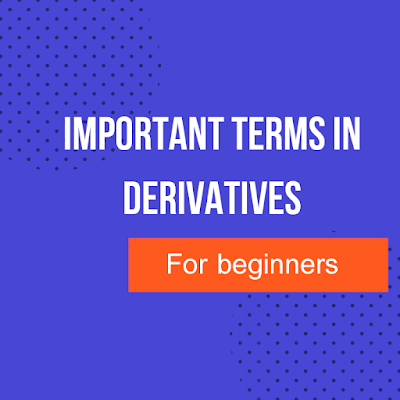 Before that let’s know some basic terminologies used in Derivatives. Open positions – In equity market if you are doing intraday trading then you have to complete your trade within that day. You can’t wait for the next day. You can’t sell shares today and buy tomorrow or after 10 days. This is one of the limitations in equity market. But Derivatives gives you the freedom to sell and buy after few days before the contract’s period ends. So if you have bought one lot of Asian paint’s share then your position will be called as open position. Closing Position –When you square off your position in stock market in derivatives segment then it will be called as closing position. In India you can square off you r position on or before last Thursday of the month. If you are not closing your position then stock exchanges will automatically square off your position. This is like the opposite of open position. Mark to Market Settlement ( MTM ) – In India exchanges run a daily MTM with regard to all future positions and therefore your profit or loss of one day will be credited or debited to your account in that same day. So if you are having a profit of 6000 then it will be credited to your ledger in your brokerage. Similarly if you are facing a loss of 10000 then it will be deducted from your account on the same day without even considering your financial position. That’s why futures trading are risky. Margin Money- This is the money which brokerages keep with themselves to protect and save themselves from any loss incurred by client. For an example John has 100000 in his account. He has taken position in the market of 500000. When his position start losing 1% then his value will decrease by 5000 and the same will be deducted from his 100000. Now he has 95000 in his ledger. Similarly if after two days the shares went 15% downwards then John will bear 75000 losses. Now he has 20000 in his ledger. This is the time where brokerage will ask for margin money because John has not sufficient money to compensate further loss of 15%. There are different types of margin money. We will discuss them in some other blog posts. So if you are trading in futures and options then you must know these terms and understand how much risk you are bearing. In our next blog posts we will discuss about forwards contracts and option contracts which comes under derivative segments. What is EPS And How It Is Used For Investing In Shares?